What is the purpose of the piece of string taped to a glider canopy? Is it effectively a turn coordinator, but then what advantages would it have over a gauge such as the ones fitted in powered aircraft? 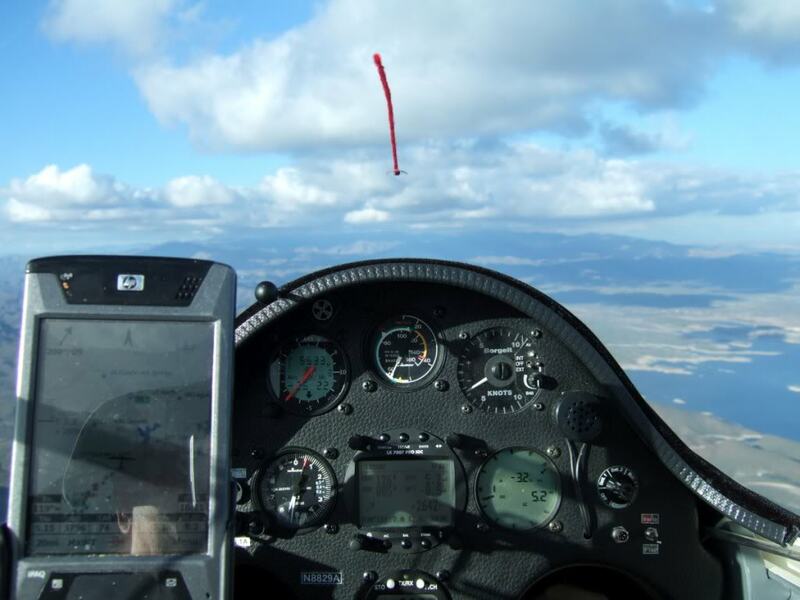 Yes, the yaw string on the canopy of a glider is there to show you whether or not you are coordinated, especially during turns. It indicates the relative wind, so will be straight unless the glider is slipping or skidding, in which case it will swing to the left or right. According to Wikipedia, they are also used on other aircraft (even jet fighters and the U-2!) although they are used in almost every glider. It is directly in your line of sight while looking outside, so you don't have to look at the instrument panel to see if you are yawing. On wings they are called tufts, and are a means of 2D-flow visualization. The yaw string just shows the yaw angle at a single location. Not the answer you're looking for? Browse other questions tagged glider flight-instruments or ask your own question. What do aerodynamic flow cones measure? Can gliders access restricted airspace?